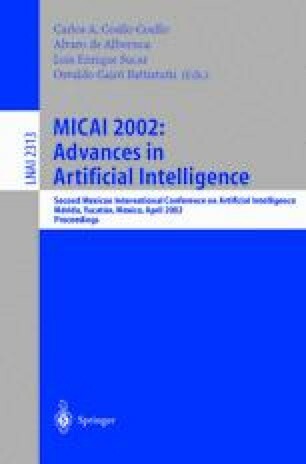 In this paper a general description and current state of the project Diálogos Multimodales Inteligentes en Español (DIME) —Intelligent Multimodal Dialogs in Spanish- is presented. The purpose of the project is to develop a multimodal conversational agent with spoken input and output facilities in Spanish in a design oriented domain: kitchen design. In this paper, the state of the project, current results, an overview of the prototype system and future work are presented. A previous version of this paper in Spanish was present at the SLPLT2 workshop that was held in Jaén, Spain, in September, 2001. A. Copestake. The LKB system. Technical report, Stanford University, 2001. http://www-csli.stanford.edu/~aac/lkb.html. L. D. Martin. The Open Agent Architecture: A framework for building distributed software systems. http://www.ai.sri.com/~oaa/, 1999. Grupo Tlatoa. Speech Technology Research Group: TLATOA. http://info.pue.udlap.mx/~sistemas/ tlatoa/, 2001.